Sorbet Society is a free membership that allows you the freedom to feel special as often as you like. You get points every time you visit your Sorbet Salon, Nail Bar, Drybar or Sorbet Man. The more you spoil yourself with us, the more rewards you receive. All you have to do is fill out the Sorbet Society Loyalty form and you’ll start earning your points on the spot. It’s free, and it’s all yours to enjoy! Plastic is so last season. We’ve made identification easier by getting rid of plastic cards and letting you use your cellphone number instead. We believe you deserve to feel pampered, valued and special. Get a reward with every 2000 points you earn. The closer to gold you get the sweeter the rewards. Invitations to VIP events – so you can go to all the places you want to be seen. And get the exclusive offers that will really make you feel like you’re in the know and on the go. Receive a 50% off voucher in your birthday month – birthday discounts get bigger as you progress through the tiers. Yes baby! After all, feeling celebrated is what your special day is all about. You’re smart. You’re sussed. You’re all about living on the glow and you’re fitting looking-good and healthy skin into your diary too. You’re now part of a fabulous new and improved loyalty programme that earns you feel-good points every time you spend. With every treatment you’ll be smiling your way to the Corner of Feel Good and Happy Street in no time. Oh lucky you! You’ve done it! You’ve moved up to Sorbet Society Blue and you’re now officially a True Blue. This means you’re obviously a serious beauty believer. Here, you sit comfortably in the shaken not stirred category of your beauty journey. You can look forward to more rewards, more often as well as bigger birthday vouchers and exclusive offers. ‘Glow’ Lounge is the new Slow lounge darling. Big steams really do come true when you’re grooming in this league. You’ve earned the right to our S.I.P list (Sorbet Important Person) where you get a triple serving of love with more discounts, more invites, more rewards and more R.E.S.P.E.C.T. We’re talking Upper Crust, A-lister, Steam of the Crop, Cherry on Top, Royalty kind of stuff. You’re here because you’re done being a beauty rookie. And there’s no way you’re settling for one-scoop-fits-all when you can have it all to yourself. Your look, style and wellness is a priority. That’s why Sorbet Gold gives you access to the finer blings in life. Awesome! 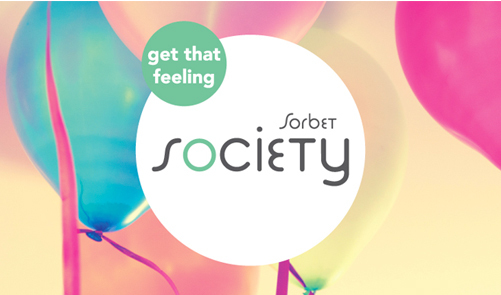 All you have to do is fill out our membership form and we’ll sign you up to the Sorbet Society – The free membership that allows you to feel special as often as you like.